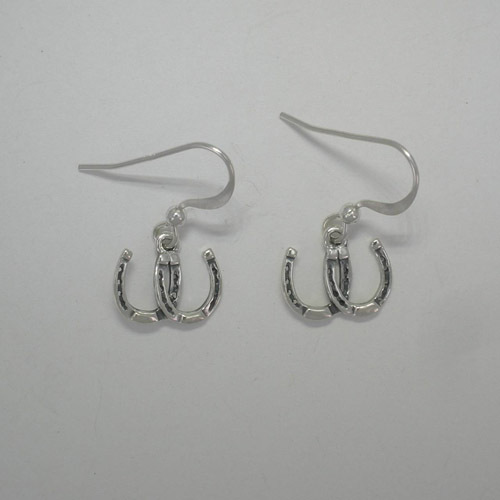 Desc: Sterling Silver small double horseshoe dangle earrings. The two horseshoes are intricately designed and have tiny holes where the nails go. The toes and heels have clips. The earrings dangle from Sterling Silver French wires. The earrings have bright polish finishes. Made in the United States of America.